Small farm with two-storey living house and around 3000 m2 of land with a large diversity of fruit trees, olive trees and vineyard. The farm is situated in the village Santo André das Tojeiras at the end of a very quiet road, being the last house before the start of the dirt road into the forest. 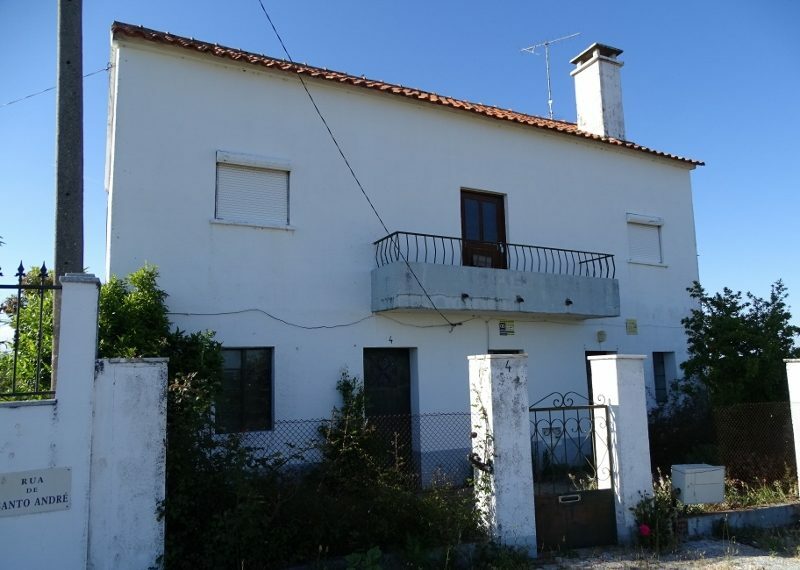 Beautiful, panoramic views on the village, forest and Castelo Branco. The house is spacious and consists of two floors including kitchen, two living areas, a toilet and bathroom, 4 bedrooms. The house needs inside renovation works and replacement/improvement of facilities according to your own wishes. There is mains water and electricity and a borehole for watering the garden. The land is in the back of the house with a lot of privacy and has several animals sheds, bread oven, wine cellar, water tank, trees and grapes and there is still plenty of space for a vegetable garden. The front garden has an entrance gate, and there is another entrance gate to enter by car. Quiet place with beautiful surroundings. 1 minute walk the the village main facilities, council services, post office, café with mini market, swimming pool.